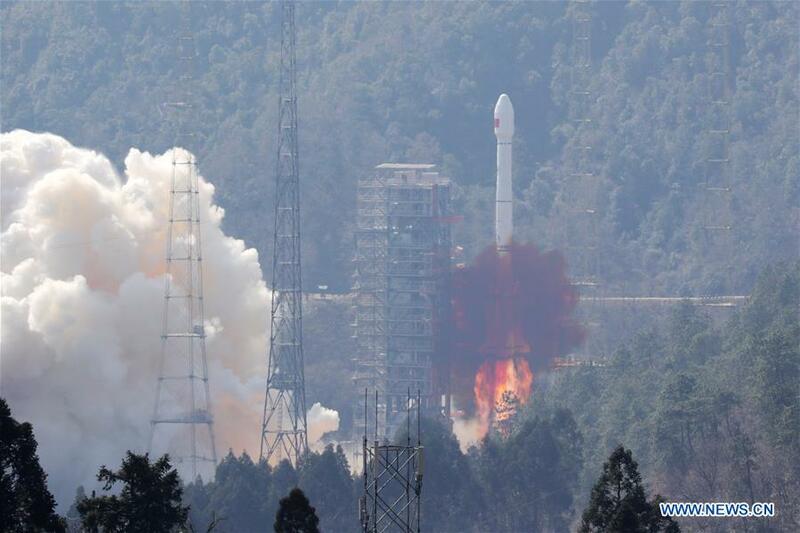 The Long March-3B rocket launched Monday from the Xichang Satellite Launch Center in southwest China's Sichuan Province marked the seventh successful mission of the Long March rocket series since the beginning of 2018. The year 2018 will be an ambitious year for China's space program, with the largest number of Long March rocket launches. These missions focus on sending Beidou satellites into space to form a network for the domestic BeiDou Navigation Satellite and the launch of the Chang'e-4 lunar probe later this year. "Eight of the 14 Long March-3A rockets to be sent into space in 2018 will carry twin BeiDou-3 satellites," Cen said. "The Long March-3A rocket family will fulfil 40 tasks from 2018 to 2020. We have a tight schedule." Throughout 2018, Long March-3A rockets will send 18 BeiDou-3 satellites into space, enabling BeiDou system to provide navigation and positioning services to countries along the Belt and Road. Long March-3C rockets will send the Pakistan Remote Sensing Satellites and the China-France Oceanography Satellite into space this year. The country's new generations of rockets -- the Long March-5 series and Long March-7 series -- are also prepared for the upcoming missions. Launches of Long March-5 have been scheduled for the latter half of this year in preparation for China's lunar probe and Mars probe missions. In April 2017, a Long March-7 carrier rocket sent the country's first cargo spacecraft, the Tianzhou-1, into space -- a step closer to putting a space station into orbit around 2022. Although no Long March-7 rockets will be launched in 2018, developers are tasked with improving the rockets' reliability. 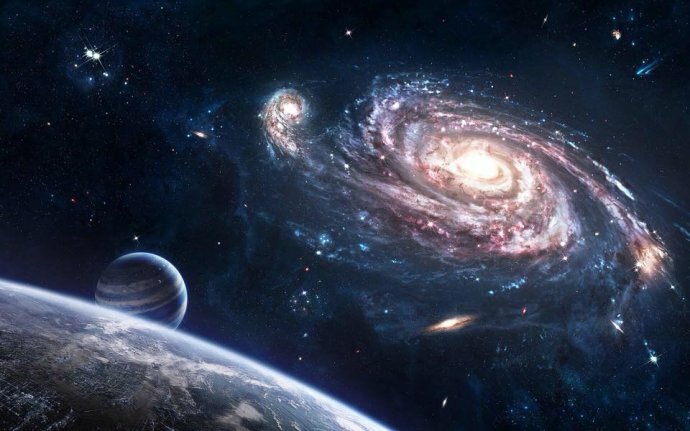 The Long March-7 is widely expected to become the main carrier for building China's space station, according to Wang Xiaojun, rocket system commander-in-chief of the Long March-7 mission. China's heavy-lift carrier rocket, currently called the Long March-9, will be sent into space by 2030, according to the Science and Technology Committee of the China Academy of Launch Vehicle Technology. 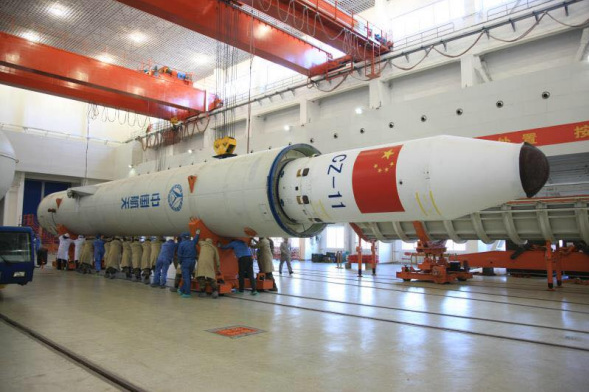 The Long March-9 rocket's carrying capacity will exceed 100 tonnes and its diameter will reach around 10 meters. "We will step up our efforts in the research and development of heavy-lift carrier rockets so as to send them into space at an earlier date," said Huang Chunping, an aerospace expert. 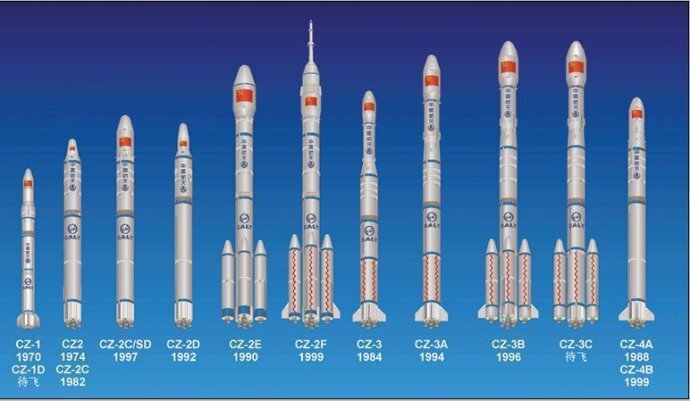 China started developing modern carrier rockets in 1956, and the Long March rockets have become the main carriers for China's satellite launches. On April 24, 1970, China launched its first satellite, Dong Fang Hong 1, or "the East is Red," into the Earth's orbit on a Long March-1 rocket, becoming the fifth nation to achieve independent launch capacity after the Soviet Union, the United States, France and Japan. China welcomed a newcomer to its Long March carrier rocket family on Saturday as the new generation Long March-7 blasted off successfully. It brings China one step closer to its goal of operating a permanent space station.